What I learned in boating school is… Just kidding. 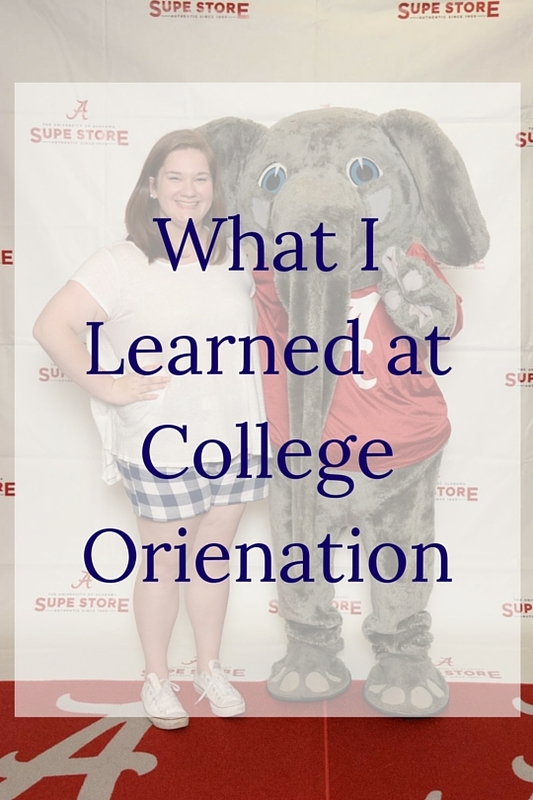 Today I am talking all about my experience at college orientation. I went to orientation pretty early (June 2-3), which was nice because I got to register for classes early. Since I got done pretty early, I thought I would talk all about what I did in hopes that it could help some people who are going later in the summer. Orientation was a lot of listening to people talk about what to expect when you get to college. I heard presentations about everything from transportation to student involvement to honors college. 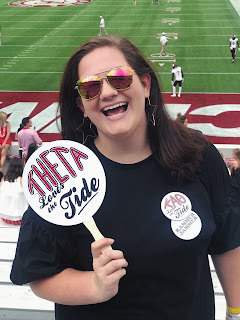 It was a lot to take in, and I had fun, but I personally didn’t have as much fun as other people say they did at orientation. I didn’t meet my new best friends or anything. I got to know other kids in the College of Communications, and I got to hang out with two of my roommates more which was really nice. We also got to see the dorm building we are living in in the fall, and we started planning out everything. There's a chance every building will be freezing | I am going to Alabama. Alabama is hot in the summer. It was between 85-90 outside, yet it was a good 60 degrees in every single building we went into. I wish I had brought a light sweatshirt, so I didn't feel the shock quite as much when I went inside. Dress comfortably | I don't care what this means to you, but make sure you are comfortable. The first day I wore shorts, Converse, and a nicer shirt then the second day I wore jorts, an Alabama baseball t-shirt, and Converse. Some girls were wearing Norts and others were wearing rompers. Just wear something that you can walk and sit in for a long time. I do recommend wearing comfortable shoes because I wore my newer Converse, and my feet were killing me. Prepare a schedule... Or two or three | I spent weeks looking up classes and building the perfect schedule with good times and good professors. Unfortunately, some classes were full, and I had to figure out other classes to take. Luckily I was a little more prepared than the average bear, and I had some back up ideas. Definitely have a couple of backup options, especially if you are qualified for 200+ levels, which get filled by upperclassmen. Gabby from the Swirl wrote a great post about scheduling. Make sure you have everything you need | Your college should have a list of everything you need to bring to orienation, and listen to them!! Like if you're picking up your college ID, you need ID to confirm who you are! That's really important. Try to make friends | Do as I say not as I do. I was perfectly content talking to my roommates, but orientation is a great place to meet your future classmates, especially when you break out into your different majors because those are people you will be seeing a lot. I am just not the best at putting myself out there.